As a patient, you, believe it or not, are the most important member of your healthcare team; you know yourself best, can feel when something is not right, and have the power to ask for what you need. Through a new initiative called MyChart Bedside, the Hartford HealthCare Cancer Institute is giving patients even more of a role in their care by placing a tablet computer into their hands when they are hospitalized on the oncology units of The Hospital of Central Connecticut (HOCC), Hartford and Backus hospitals. “MyChart Bedside is an extension of our existing Epic electronic health record system that puts necessary information and a means of contacting members of the care team right in the patient’s own hands,” said Susan Marino, RN, vice president and chief nursing informatics officer. See photos and bios of their entire care team, including doctors, nurses and therapists. Send private, non-urgent messages to their care team, including providers. Check vital signs and the results of lab tests. Ask for a blanket or something to drink. View the daily schedule of tests and appointments so they can tell visitors a good time to visit. 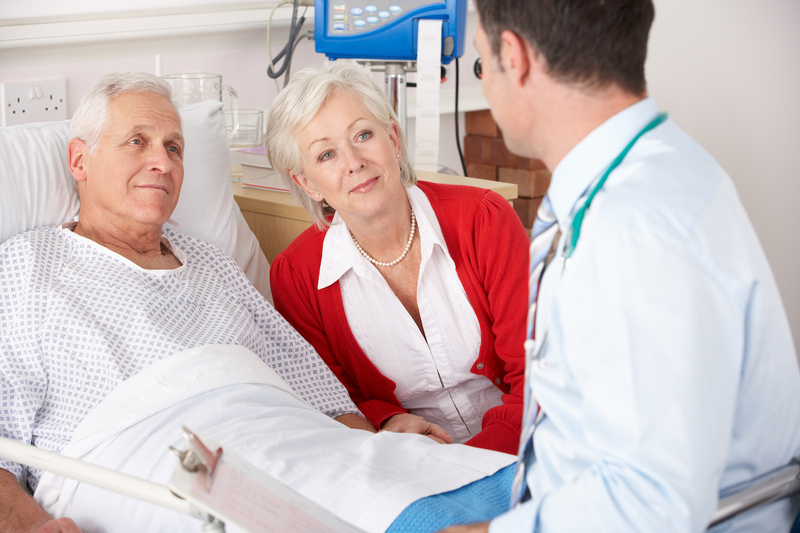 “MyChart Bedside is a valuable tool for patients to actively participate in their healthcare. When they are in the hospital, it gives them a stronger sense of being part of their care team,” Marino said, adding that information generated during the hospital stay will be available on patients’ MyChart Plus account after they are discharged to ensure continuity of care, education and monitoring. MyChart Bedside is secure, with every tablet being scrubbed of patient information at discharge so nothing personal is ever shared, she said. “At Hartford HealthCare, we strive to make every patient and family caregiver experience the best, whether in our hospitals or outpatient facilities. That philosophy drove us to implement MyChart Bedside so our patients can be more active participants in their care,” Marino said. For more information on MyChart Bedside, go to www.hartfordhealthcare.org/mychart.